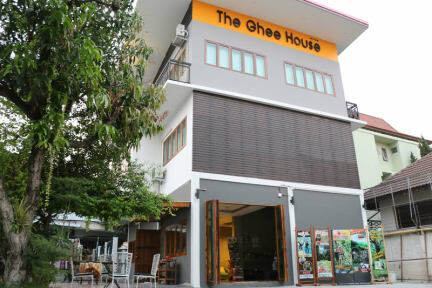 The ghee house is located on just outside the ancient town, in the alley of the Thaphae road. You can open the main door with electrical safety key after 7 p.m. 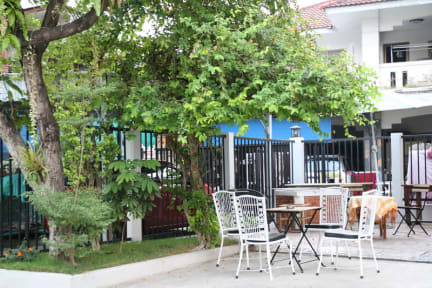 The owner is really nice and friendly, despite that most of the tenants wouldn't really meet or talk to each other. Bed is comfy, air con works great, and one of the hottest shower I've ever had in north Thai, also there's free bike. The price is a little bit high for backpackers but if you prefer quiet and independent place, this is it. This experience is not so good because of the bed seems not too clean. Compare to a hostel, it's more like a guest house. The location is not on the main road, hard to find it. But they provide free bike, that's the only I feel value for money. Bathroom is clean. 10mins walk to Night Plaza. If you don't like meet people, go stay there might be your choice.